On March 21, 1985, my niece, Angela Branco was born to my older brother, Mike, and his wife, Diane. It was sometime afterwards that I completed a baby quilt for Angela. 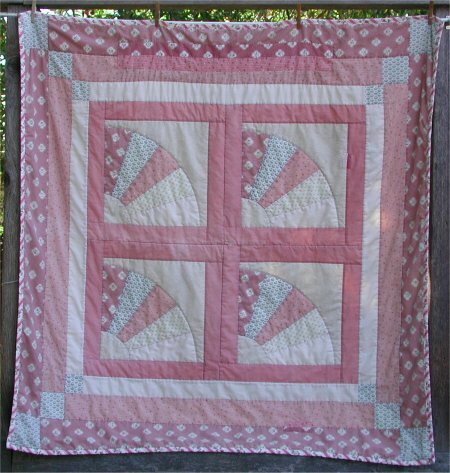 I had just learned how to make Dresden Fans using a muslin foundation, so it was a variation of the sew-and-flip method that I already knew about. I chose shades of dusty rose and ecru and saved all the scraps for (any) future project. 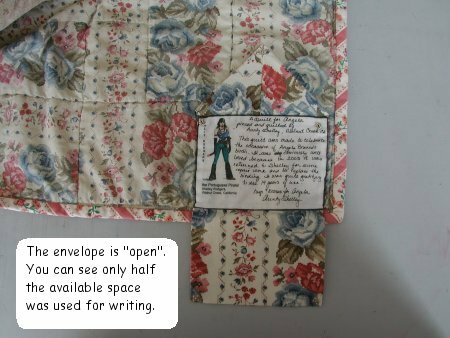 Once a quilt has been given, unless you are within easy visiting distance of the recipient, you really have no idea if the quilt is ever used or not. 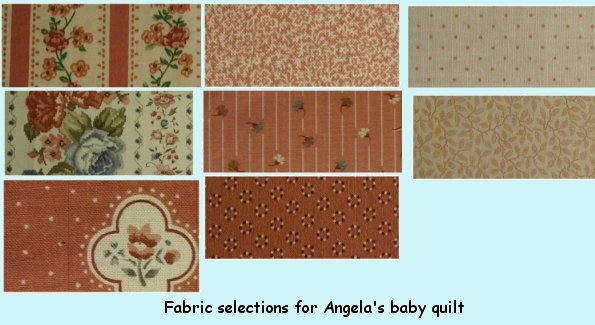 Now, while my brother & family are certainly within reasonable driving distance, it's not like we see each other regularly or frequently, but I'd occasionally see evidence of use of Angela's quilt. 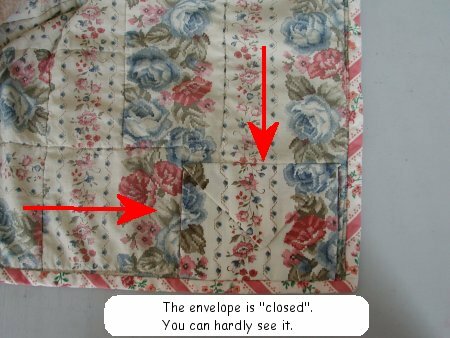 Just how MUCH it was used was brought home late in 2003: during a family visit, my sister-in-law brought out Angela's quilt and asked if I would be able to repair it. Expecting a tear or rip or something along that line, I was very surprised to discover a very long ripped area, near one of the border seamlines. The seam itself was still holding very well, but the fabric itself looked like it had been slit completely through the top, batting and backing. Unfortunately, the edges were somewhat ragged, so I knew it wasn't a new mishap. Well ... stuff happens, ya know? Luckily, I am a packrat. 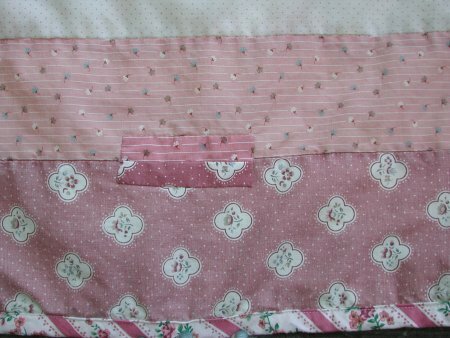 I still had all the fabric I had originally used in the quilt in my stash. I was able to repair the damage, although the repair was rather visible ... the quilt had been through many washings so the fabric had faded. The fabric used for the repair was still in pristine condition and it's color was very vibrant compared to the quilt. However, my sister-in-law was delighted with the repair work .. I was somewhat concerned because you can obviously SEE the repair work.